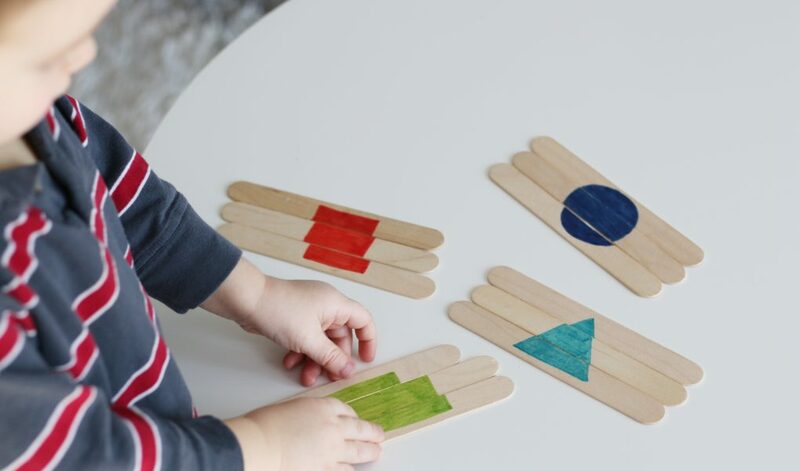 I have a quick and easy to set-up activity for your little ones…it’s these Shape Puzzles using popsicle sticks! They’re super easy to make (took me less than 5 minutes, quite literally! 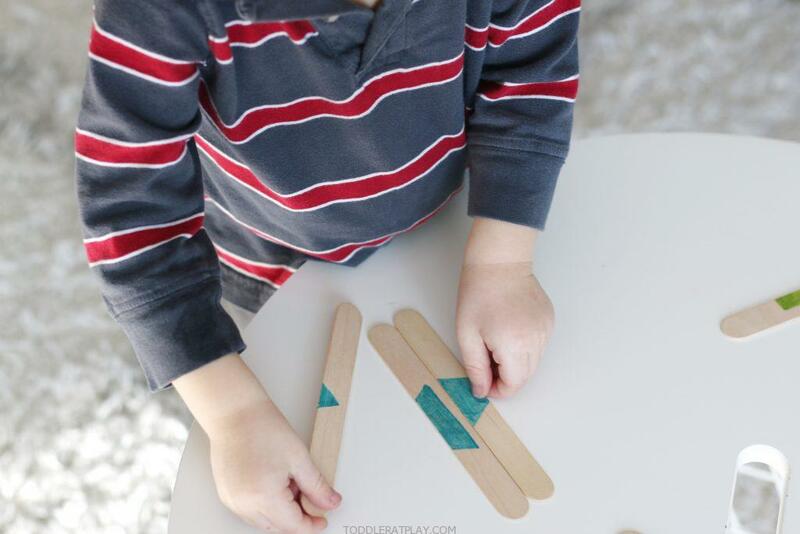 ), inexpensive and you only need popsicle sticks and permanent markers to make them, that’s it! 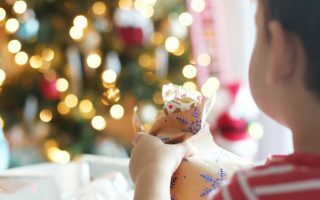 Puzzles are awesome for childrens’ brain development, especially for improving cognitive skills, like thinking, predicting, analyzing and comparing. So I always have some on hand for my preschooler if I need her to stay busy, quiet or independent for a little while. But I can’t always find simple and most importantly fun and exciting puzzles for my toddler (who’s 2), so I make my own! 🙂 They’re super-duper easy to make as I’ve mentioned before. 5 minutes and you’ve got yourself a busy toddler + when they’re done I usually use a rubber band to keep them all together neatly and put them away for their next use. 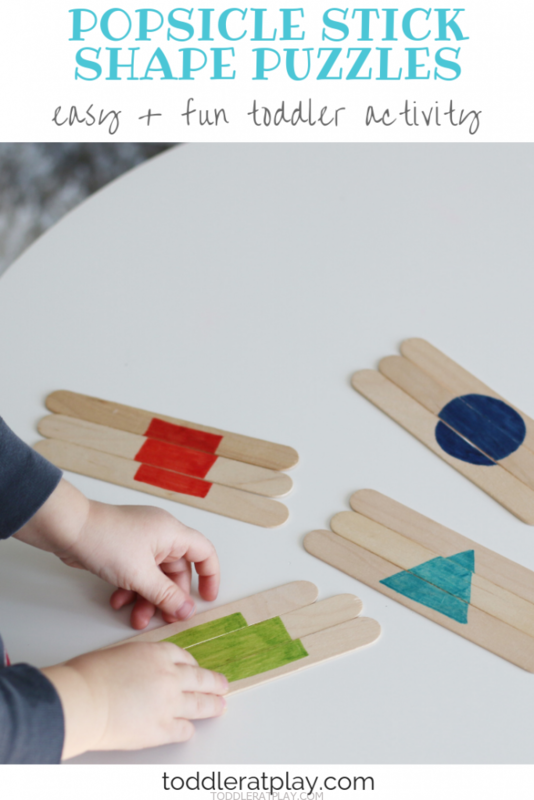 My kids also love love love these Popsicle Stick Number Puzzles I’ve made for Alina (4) last summer and she still loves to solve them! 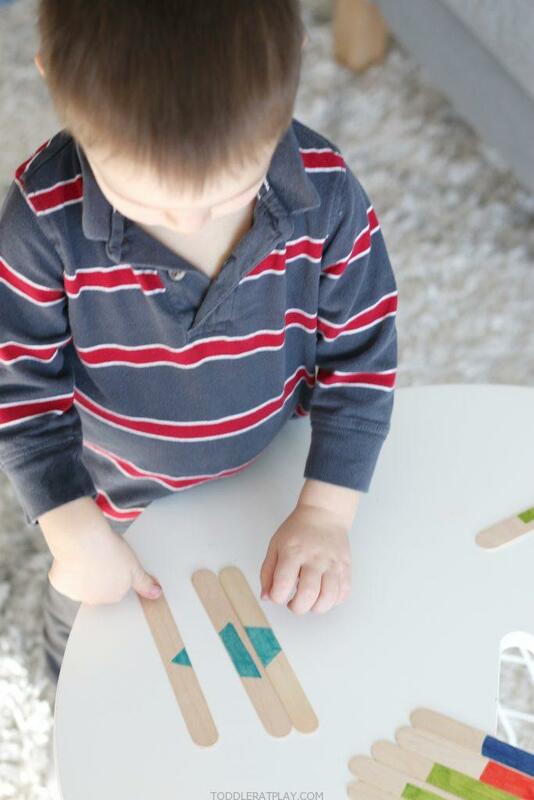 Line up 3 popsicle sticks together and draw a large shape using the permanent markers. Make as many shape puzzles as you want (I made a triangle, square, rectangle and circle) and use different bright colors! 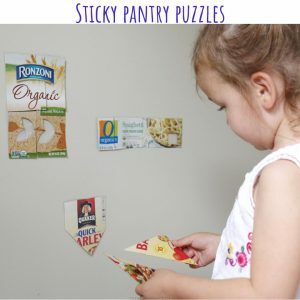 DO YOUR KIDS LOVE PUZZLES? TRY THESE TOO! 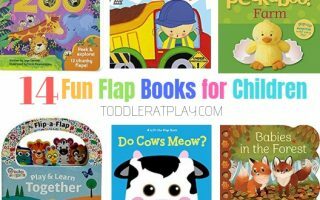 IMPROVE YOUR KIDS SCISSOR SKILLS WITH THIS TODDLER AT PLAY ACTIVITY! 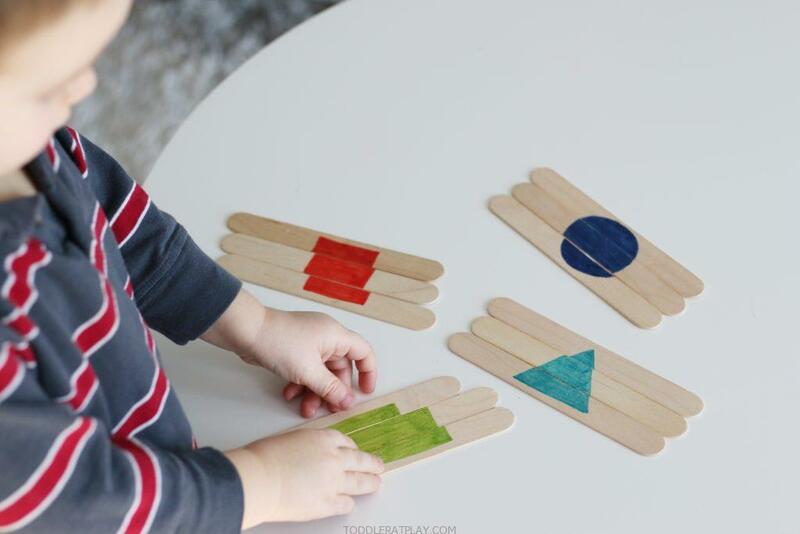 GRAB SOME POPSICLE STICKS AND PERMANENT MARKERS AND CREATE THESE EASY PUZZLES!